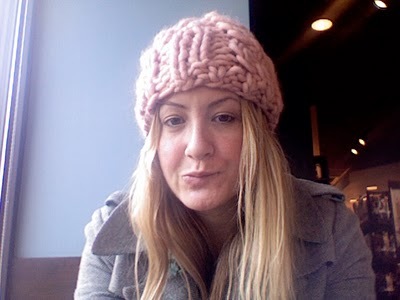 I knit this pink hat. What do you think? I slightly altered a pattern from the book "Twinkle's Big City Knits." 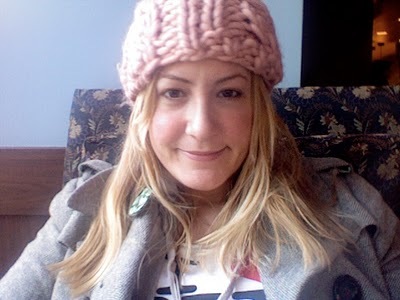 (It's called the "Pilot Hat" and it's supposed to look like this.) Do you think I should add a ball on top? BTW, isn't my hair looking long and luscious today? Okay, fine—in the world of long and luscious hair it might not be so great, but for me, it is.